For some time now Techzim has wondered whether Bitcoin is legal or not. In fact, a number of people from in and out of the country have contacted us and enquired. Our standard response has been that the Reserve Bank of Zimbabwe (RBZ) has been lax towards regulating the cryptocurrency and our assumption has been that they don’t really understand it and hence would just let it ride. Seems they’ve increased in knowledge, somewhat, as at a recent event, a representative from the central bank, Norman Mataruka, director and registrar of banking institutions, stated that bitcoin is illegal and the regulator will not allow this in the country. In terms of the bitcoins, as far as we are concerned, it’s not actually legal. In Southern Africa, what we have done as regulators, we have said that we will not allow this in our markets. From our previous encounters with the RBZ they have adopted an approach of warning citizens not to get involved with cryptocurrencies and if they did then they would run the risks of losing their investments and not having any recourse should that happen. Bitcoin, which was brought to popularity in Zimbabwe through the MMM pyramid scheme, whereby members could “give help” and “ask for help” in the form of bitcoin managed to attract as many as 66,000 people, however, when it crashed, a number of people were ‘burnt’ and left with a sour taste in their mouths. 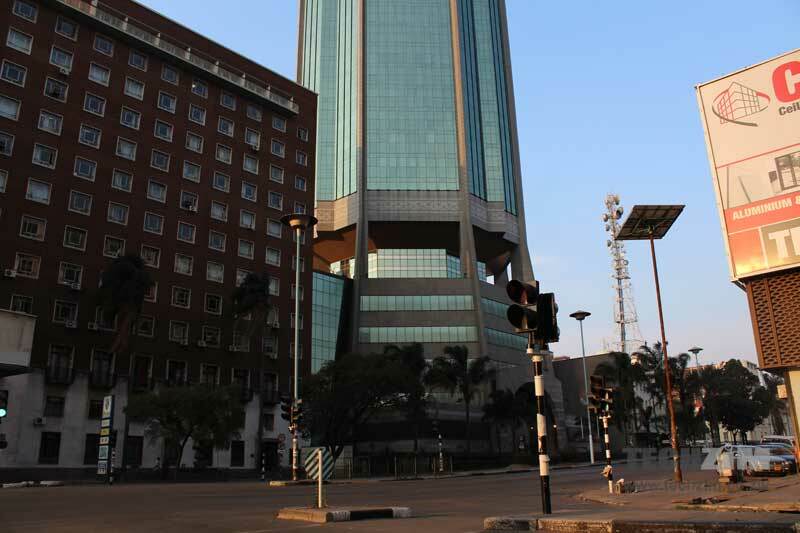 It is assumed that when the RBZ made the statement of “deal with it at your own risk” this was at the height of the closure of MMM and so it was the only thing for them to do. RBZ, as the financial regulator in the country, are the ones who push the legal framework that governs the use of money and its instruments in Zimbabwe and at this juncture have opted to take an approach of “don’t touch it until we tell you to do so”, instead of allowing the digital currency to work and discover itself. Should Bitcoin Be Regulated In Zimbabwe? On the surface, the current way that bitcoin is being used in Zimbabwe, mainly for internal remittances, and external payments (that banks are not able to facilitate) a free market would be ideal at this stage. What however has been noticed of late it the entry of a number of “bitcoin mining networks”, as well as other ‘multi-level marketing’ initiatives, aimed at getting people to invest in the cryptocurrency. Most of these are scams and RBZ will do well to clam down on them. Zimbabwe, which is going through a “cash crisis“, will do good to embrace bitcoin, as at the moment the trust in local banks have returned to 2008 levels, as some banks issue as little as $40/week in the form of withdrawals, making it difficult for the banking public to access their funds and transact. Though the use of digital money in Zimbabwe has significantly increased internally, consumers and businesses are not able to make payments out the country due to underfunded Nostro accounts at the banks. Informant Acie Lumumba’s Facebook Page Vanishes, Why? So they want to make bitcoin illegal so that we continue to suffer because we are banking our money and we cannot access it whilst they get it.Bitcoin is our own risks in other countries some banks are now accepting it. Considering that thousands lost their money in traditional banks that were regulated by the same RBZ and never got their money back, just shows that this “you are on your own” rhetoric is nothing but just that, rhetoric.Even with traditional banks in Zim, you are still on your own. Because if I deposit money into my account and cant get it back and the regulator thinks that’s normal, then we have a problem. It would be interesting to see how exactly they intend to go about this and actually prevent people using Bitcoin. Bitcoin was designed to work without the oversight they are talking about. Of course they can publish regulations saying that Bitcoin is not legal tender, but noone is crying to make it legal tender. But that does not stop people using it. True. As bitcoin is not regarded a currency in Zimbabwe (like in many other countries) it’s just a token (regarded a commodity). And that seems to be legal in Zimbabwe (like in many other countries). Maybe someone should explain the difference to RBZ? That’s nice. Come and get it. It is technically impossible for RBZ to ban Bitcoins. Bitcoin is an internet protocol based on block chain technology. Unlike bond notes they cant print many Bitcoins and flood market. Bitcoin is here to stay . This is a good thing to do guys .I am in it for longtime and i am who i am now because of bitcoin lets make our fellow zimbos to be in it ..
Bitcoin is here to stay i agreed.